Growing Through Change...Here We Grow Again! Join us for a Wonder-Filled 4-day Conference of Healing Energy and Spiritual Refreshment to Raise your Vibration! Rev. David McArthur will bring us HeartMath to open our hearts and connect to the power of Love and the intelligence of the Heart on Tuesday. Rev. 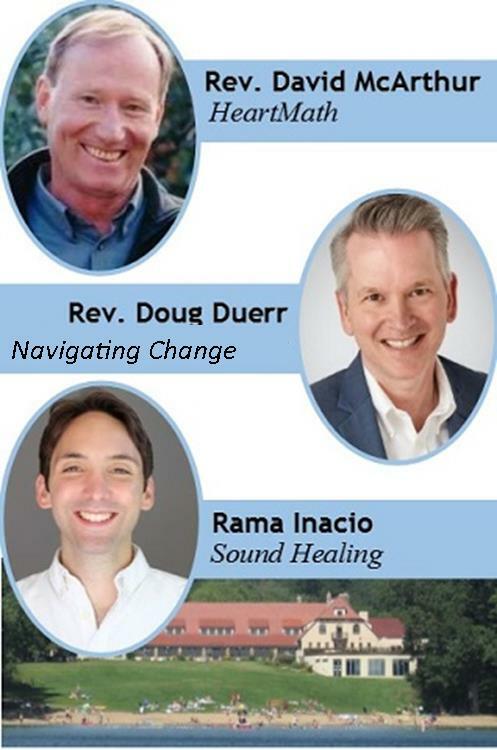 Doug Duerr will be with us on Wednesday to help us learn new skills to navigate change and conflict as spiritual leaders. Rama Inacio will bring us the Alchemy of Sound with the 12-Powers Crystal Bowls from Unity Village. He will also create wonderful Sound Healing experiences for us with his didgeridoo, gong and other healing vibrations. Rama will be with us all week and available for individual sessions of Sound Healing. There will be the usual business meetings, lunches and so forth. This year the Conference is set up so we can all participate in all the events together and RAISE OUR VIBRATION together! Click Here to Make Your 2018 Reservations TODAY and save!